What You Will Hear: Almost every major Star Wars theme (excluding the prequels). Will You Be Humming Along? If you have a pulse, yes. Will I come back to it? Yes. While it took months for me to warm up to The Force Awakens score (and I did! ), this experience was immediately endearing. The Last Jedi is the perfect mix of new and old. Themes from the original trilogy and TFA are alive and well. With the return of Luke Skywalker and his (or The Force’s) theme, this feels much more like a classic Star Wars score than anything TFA and the prequels have offered. Themes for Rey, Kylo Ren, the Resistance, and Leia are also featured heavily and have some nice sweeping moments in the strings or huge brass cues. Additionally, Leia’s theme is sparingly featured on piano (see: The Supremacy). While I found it cringeworthy on screen, that moment stands out nicely for its uniqueness in the overall soundscape. The Star Wars themes are more alive here than any other effort since The Return of the Jedi. Yoda (see: The Sacred Jedi Texts), Luke and Leia (see: The Spark), and even the “Here They Come” action motif (see: The Battle of Crait) make appearances. But again, it is Luke’s theme that is at the center of everything, just as it should be. Beyond the massive collection of themes, perhaps the greatest part of The Last Jedi is the reworking and (much needed) lightening up of the Resistance theme. In the Force Awakens, it never matches Poe and Leia. This time around, it goes through several variations that make it much more roguish (see: Fun with Finn and Rose). Additionally, a new theme for the character Rose goes hand in hand with the reinvention of the Resistance (see: The Rebellion Reborn or The Fathiers). Her theme fits this (somewhat simple) character’s can-do attitude well. Whether it is in a softer moment, or bombastic action sequence, Rose’s material is a welcome addition to the Star Wars universe. There is other new material that enriches the music universe, as well. The Fathiers offer a fun running motif that again shows Williams’s inventiveness will never run out. Additionally, towards the end of The Spark, you can hear the tension building motif used so well in the second trailer (starts at 0:27). It is dark and exciting and I hope to hear it used again in the future. Speaking of the island, the Jedi Steps theme returns (see: Ahch-To Island), but it does not last long. I had hoped for more development here, but even with half the movie taking place on the island, no so such luck. Speaking of themes not often used: Where is Poe? His theme shows up once on the album (see: Peace and Purpose). In film, it kind of makes sense for his theme to take a back seat, but it was disappointing either way. The Canto Bight material fits well with that scene, but on album, is rather skip worthy. Just head back to the Cantina. Besides that, there are some annoying needle-dropped moments. But hey, when they're dropping class Star Wars, who can really complain? My only true complaint about The Last Jedi is more about the structure of the movie. The focus should be on Luke, Rey, and Kylo Ren, but the story constantly offers up annoying (slow moving) distractions. It’s almost as if The Force Awakens is being ignored. I had looked forward to many answers and big pay-off moments, but there aren’t many to be found. John Williams’ music is fantastic as usual, but I can only wonder how much more spellbinding it would have been if he’s been given some real drama (continuing the arcs from TFA) to score. 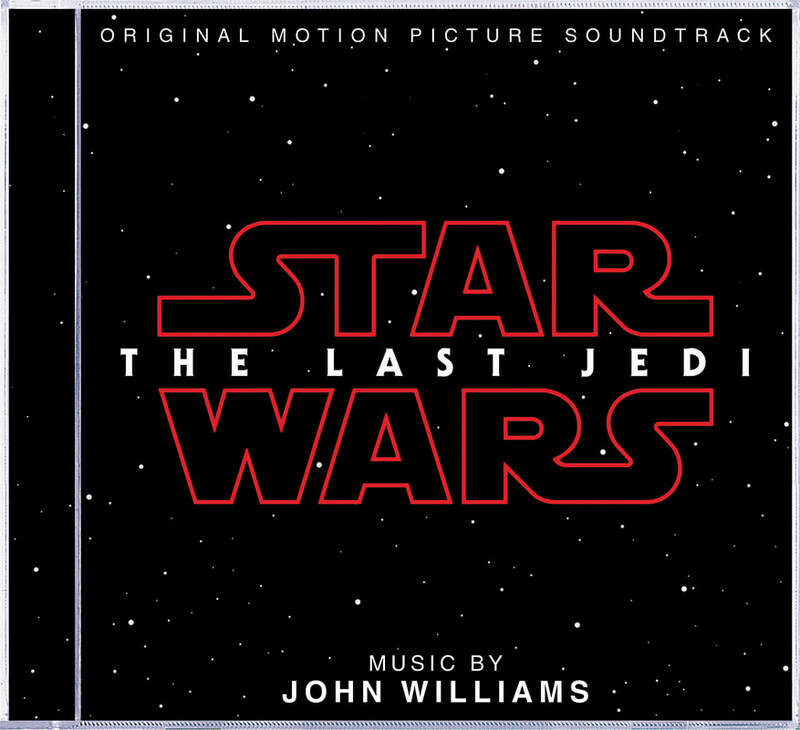 Enough complaining… While I found the movie lackluster and poorly constructed, the Last Jedi score is a continuation of the Star Wars soundscape that I’ve been hoping for since The Phantom Menace. While I can't send it to our HoF (mostly due to those distractions mentioned above), this score is a lot of fun, and has some major heartfelt cues. Luke’s theme is once again the center of the experience, the supporting themes shine, the action is bright and dark as needed, and the tender moments are carefully intimate. Williams doesn’t shy away from the established content of the series, and the result is wonderful.